A new gourmet olive oil shop opened in town, and I had two sweet students bring me bottles of balsamic vinegar and olive oil at the end of the school year. The olive oil is that really good kind that tastes good all by itself with crusty bread dipped in it, which was my main plan until we needed a side dish for TheRoomDad’s latest grilling adventures. 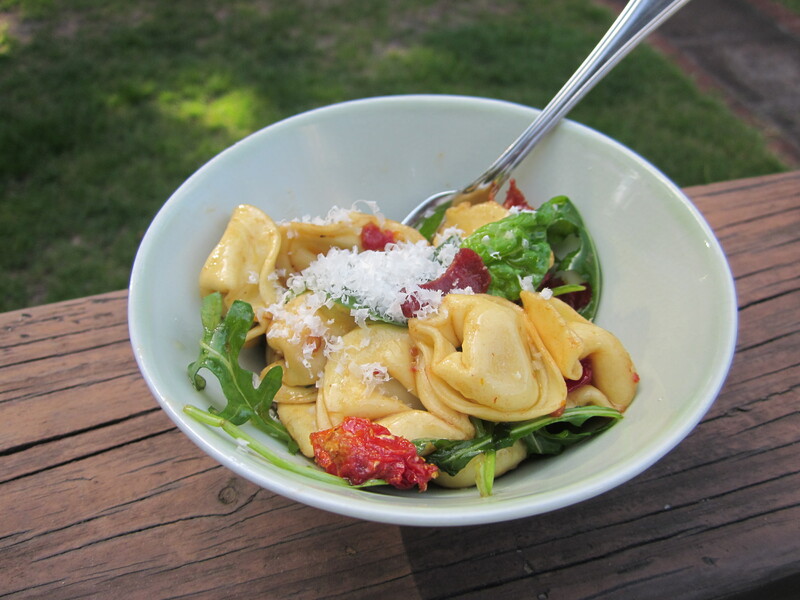 I whipped together an easy tortellini pasta salad that is delicious and summery and excellent with steak. In a large pot of salted boiling water, cook tortellini according to package directions. Drain and transfer to a large serving bowl. Add a little drizzle of olive oil to the pasta and toss gently to keep the tortellini from sticking together and let cool slightly. 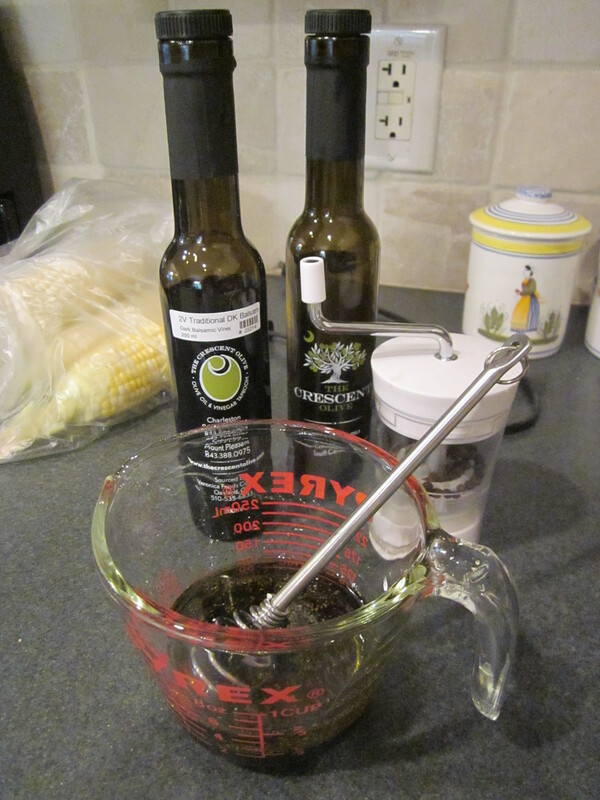 In a separate dish, whisk together olive oil, balsamic vinegar, kosher salt, and pepper. 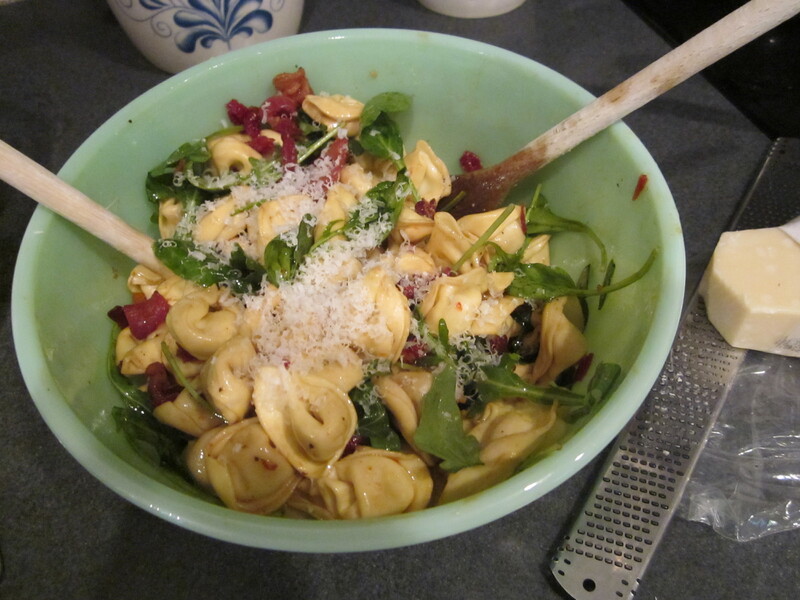 In the bowl with the tortellini, add crumbled bacon, spinach, sun-dried tomatoes, and dressing. 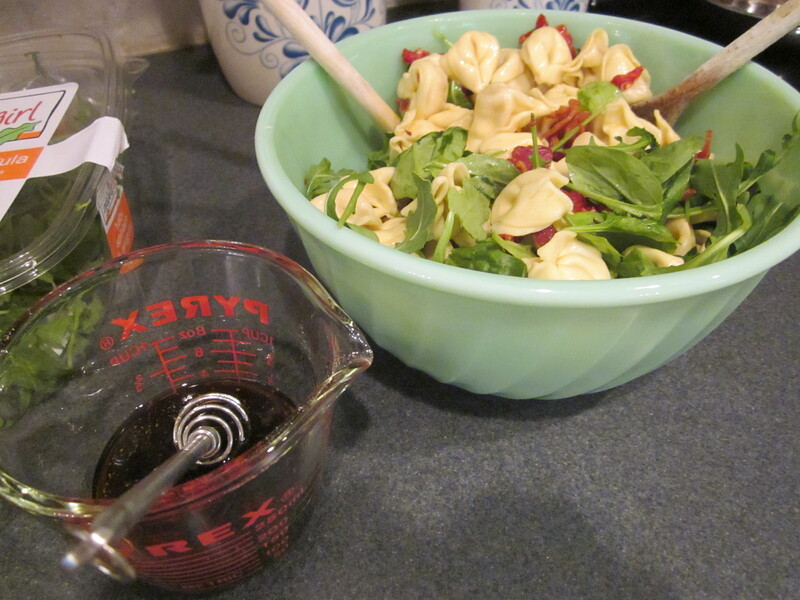 Toss well until the tortellini is coated with dressing. The arugula will wilt slightly. Sprinkle Parmesan on top before serving. I have not officially tested this, but I think the pasta salad would travel well to tailgates and potlucks and could be refrigerated.